With so much emphasis on change and the speed of change, it’s easy to forget that not everything changes all the time. People, for example, have been pretty much the same for at least 2,000 years – and that includes millennials. That’s why you can read material written by the ancient Greek philosophers and it still has applicability today. We’re not going to focus on the ever-evolving tools that technology provides. There are lots of websites for that. Instead the focus is going to be mostly on the fundamentals of how people learn in the workplace and the management and organizational practices that can make a difference. Management practices because they make a significant difference in whether learning in the workplace is successful or even occurs. Fundamentals because what it takes to learn is about the same as it’s always been – regardless of marketing happy talk. For most people in most situations learning is work; it takes time. That’s because there really is a learning curve. How to value learning in the workplace. From time to time we’ll also look at related topics like succession planning and performance management. Development is a key element of both. I’ve worked in the training and development field for about 30 years as a manager, individual contributor, and consultant. I’ve worked with managers and executives in Europe, Asia, and the United States. in the public sector and in industries including healthcare and aerospace. I’ve written two books – one on succession planning and one on easy strategies managers can use to develop their employees. 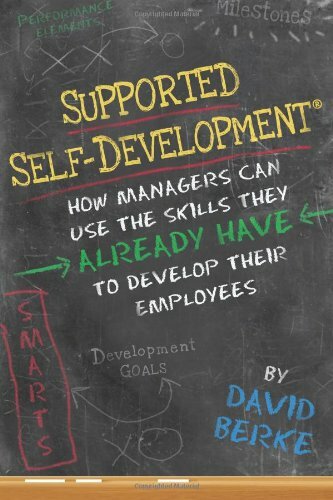 I co-authored a third book on developing leadership talent. Know it and do it describe the learning process. Having knowledge – knowing – is often necessary but not sufficient. You also have to apply that knowledge – the doing. And in that process, you will learn more and know more. Sometimes the same does not apply to people who learn mostly by doing. They can do it, but some cannot tell you much about they why – other than doing it works when you do it a particular way. Ultimately saying someone really knows a subject often means they have content knowledge and they are really good at application. Know it and do it also captures a philosophy about learning: it’s useful and sometimes fun to know things. But knowing isn’t enough. It’s what you do with what you know that makes the difference at work and in life.